We are hiring for an in-house position at our office in Zanesville, Ohio. We have listed this position as an internship, however, applicants seeking full-time work are encouraged to apply. Pay rate is negotiable for candidates with a developed skillset and experience. 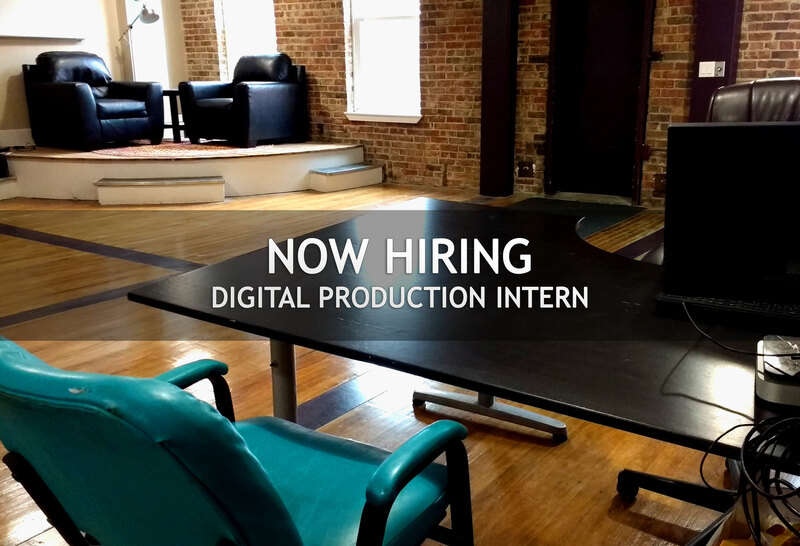 DESCRIPTION: The Digital Production Intern will assist the production team in the creation of e-books, audiobooks and website materials. The intern should have a keen interest in book publication, with a willingness to learn new skills. The ideal candidate works well in an unsupervised environment, and understands the value of producing professional, consistent results. As an exceptional communicator, the intern should be open to constructive criticism, and have realistic expectations for a production environment. The ideal candidate has a basic understanding of HTML code, as well as an impeccable sense of English spelling and grammar. Self-taught and unconventional candidates are encouraged to apply. COMPENSATION & COMMITMENT: $9 per hour, beginning at 10 hours per week. Additional hours are available for interns who quickly demonstrate proficiency. 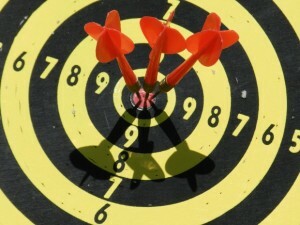 There is strong potential to lead to full-time employment for the right candidate. A higher pay rate is available for applicants who can demonstrate a developed HTML skillset. We would like to fill this internship ASAP. INSTRUCTIONS FOR APPLICATION: Interested candidates should email info@columbuspublishinglab.com with their name, contact information, an introductory letter, and resume. Columbus Publishing Lab has moved! Our new location is 620 Alum Creek Dr., Columbus, OH 43205. We’re on the third floor of the building in suite 304. If you’d like to stop by, we do ask that you make an appointment before coming in. Contact Columbus Publishing Lab here. Parking is available at any of the guest spots in front of the building. If you have any questions, please feel free to contact us by clicking here. We look forward to seeing you in our new home soon! We are currently seeking three design interns for summer 2015. This is a paid position with a 15-20 hour per week time commitment. Prospective interns must commute to our Columbus, OH office. Start and end dates for the internship term are flexible, but a 12-week commitment is required. Interns will be paid $10 per hour. This individual should have a desire to work in the publishing industry, as well as have a genuine interest in the book production process. Illustration and fine art skills are a plus, but not required. This internship will provide working experience in areas such as book cover design, book interior design, branding, client relations and professional processes. Interns will gain experience working as part of a production team, as well as self-managing small projects from start to finish. Interns will make significant design contributions to real projects. Everyone makes their own coffee, and we don’t own a copy machine. All applicants must provide examples of previous design work. Academic resume is requested, but will be considered secondary to portfolio. Interested designers should email a resume to emily@columbuspublishinglab.com by May 1, 2015. Please also include a short description detailing why you’d like to be considered for this internship, and provide digital samples of past design work (links or attachments are fine). This internship has strong potential to evolve into a traditional position for those that exhibit exceptional performance. This internship is geared towards college students and recent graduates, but all interested candidates are encouraged to apply. Join us tomorrow evening at the London, Ohio Library for a free Self-Publishing Seminar. Whether you’re an aspiring author or an accomplished novelist, this seminar is filled with valuable information for anyone interested in how successful books are produced. The seminar will last from 6:30 p.m. to 7:30 p.m. with a Q&A session afterward. 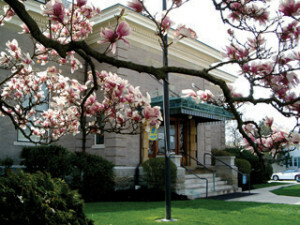 The London Library is located at: 20 E. First Street, London, Ohio 43140. This event is free and open to the public. No RSVP required. Find this event on the library’s website here. 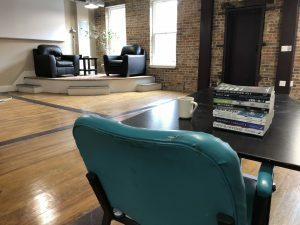 Columbus Publishing Lab CEO, Brad Pauquette, has been helping authors at all levels successfully navigate the publishing industry for almost a decade. In this seminar he’ll cover the five key steps to producing a professional book. From editing and cover design to pricing and distribution, learn how to turn your manuscript into a marketable book. If you’re considering self-publishing, do your homework. Read up on your options and don’t let free resources like this seminar pass you by. We’ll see you there! Can’t make the seminar? Get smart self-publishing advice here in The Self-Publishing Handbook. P.S. It’s free! Columbus Publishing Lab is currently accepting manuscripts. Whether you’ve written the next great American novel, or you’ve documented your story in a memoir, we can help turn your manuscript into a professional product. We’re not a book factory. We have experience-tested processes, but we understand that not all books are created equal. A fantasy book requires a different touch than a contemporary fiction novel, and a book of poetry is a whole different animal. Too many big self-publishers treat every book the same. We understand that your project is unique, and we’re here to make sure your vision is actualized. You get a personal experience. Columbus Publishing Lab is a collective of experts, and we’re all working to make your book a success. When you have a question, or need an update on a project, you’ll have a dedicated representative ready to take your calls and answer your emails. You can expect conversations with real human beings, not voicemail robots. We’re an open book. 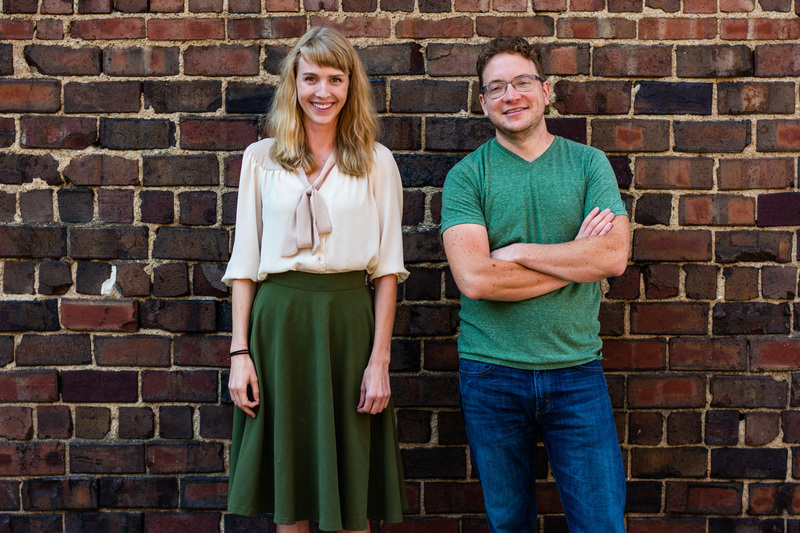 We started Columbus Publishing Lab because we were tired of seeing self-published authors get coerced into purchasing sub-par services, and talked into unnecessary expenses. We pride ourselves on being open and honest with our authors. You keep 100% of your rights, you receive 80% of net earnings, and we’ll never try to sell you a service you don’t want/need. If you’re interested in becoming a Columbus Publishing Lab author, I invite you to contact us directly via email at info@columbuspublishinglab.com or call us at: (614) 441-9777. We’d love to chat about your book project over a cup of coffee. If you live in the Columbus, Ohio area and you’ve picked up a local paper or walked into a local shop, you’ve most likely come across The Columbus Ohio Coloring and Activity Book by Katie Barron. Katie has been interviewed by 614 Magazine and The Columbus Dispatch, and her coloring book has also appeared in Columbus Alive. 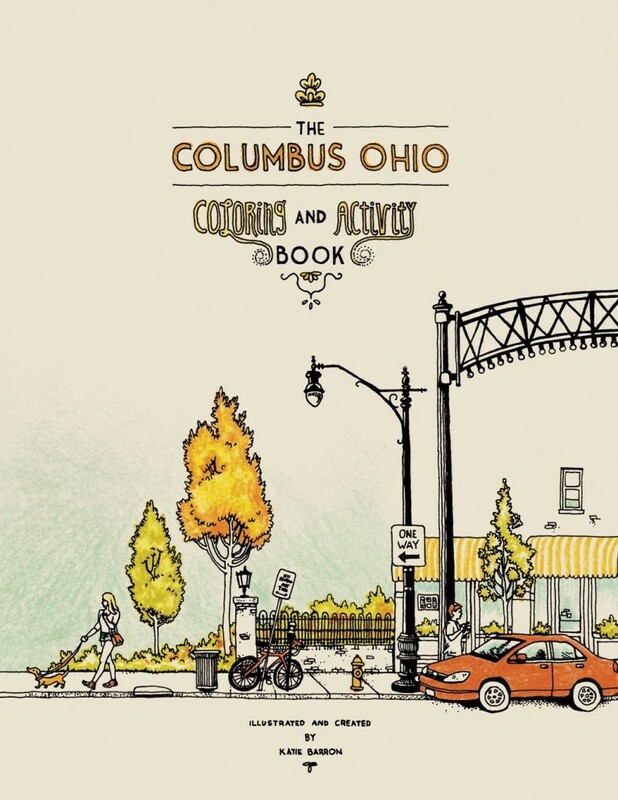 The Columbus Ohio Coloring and Activity Book features hand-drawn illustrations of the most recognizable neighborhoods in Columbus. From German Village to the Short North, Katie’s illustrations showcase some of the best parts of Columbus. We recently had a chat with Katie to talk about how her coloring book came to be, and what’s in store for her next. CPL: Why did you decide to create The Columbus Ohio Coloring and Activity Book? Katie: I love drawing cityscapes and I love Columbus, so this was a perfect combination. I was really surprised it hasn’t already been done! People are are really proud of this city now, everyone’s wearing Ohio T-shirts and we’re seeing things like WOSU’s Columbus Neighborhoods. If there was ever a good time to release a book like this, it’s now! CPL: What was the creation process like? Katie: First I took a ton of photographs of each neighborhood. Then I looked through all the photographs I took and mapped out the entire book. Then I drew everything with Rapidograph pens, scanned each drawing, and touched it up in Photoshop. CPL: Why did you decide to self-publish vs. going the traditional route? Katie: I like having control over the creative process and retaining the rights to all the images, but honestly I didn’t think there was another option! I also felt like it was important to publish locally, especially since it’s a book about Columbus. CPL: Your book has received a ton of positive press around Columbus. Did you expect it to be this successful when you first decided to make the book a reality? Katie: I hoped it would, I definitely believed in this book while I was making it. I didn’t expect it though, so I’ve been really excited about all the good press! CPL: How does it feel when you pick up a newspaper or walk into a local shop and see your book? Katie: I still get really excited! I always take photos on my phone and text my mom or boyfriend, they’ve got to be getting sick of it by now but I can’t help it! My favorite part though is these amazing emails and Facebook messages I’ve been getting from people who bought the book. They take the time to write these incredibly sweet messages about how they, their kids, their relatives or their friends enjoy my book. Sometimes people even send photos of them holding the book! CPL: Besides Amazon.com, where can people pick up a copy of your coloring book? Katie: Bink Davies, State & Third, The Wexner Store, Sean Christopher Gallery, What the Rock! ?, Wholly Craft, Mary B’s Gift Shop and Celebrate Local. CPL: Do you have any advice for illustrators who are interested in making their book ideas a reality? Katie: Use the Internet! Any question you may have about publishing (or almost anything), someone has probably already answered online. This is how I did it. I just read about other people’s experiences and different opinions, and then decided for myself what the best plan/strategy was for me. It was a lot of reading and it was kind of boring, but I think that’s the best way to do it. CPL: What’s next for you? Katie: Right now I’m halfway through working on The Columbus Ohio Coloring and Activity Book Part II. The title is even longer this time! This book will feature Olde Towne East, Victorian Village, Italian Village, and The University District. I have a couple other exciting projects that have come from The Columbus Ohio Coloring and Activity Book, but unfortunately I can’t talk about them yet. Katie is a great author to work with, and we can’t wait to see her next project. If you’re interested in making your book a reality, we invite you to contact us by clicking here. Our editors and designers work closely with each author to ensure each project is a success.